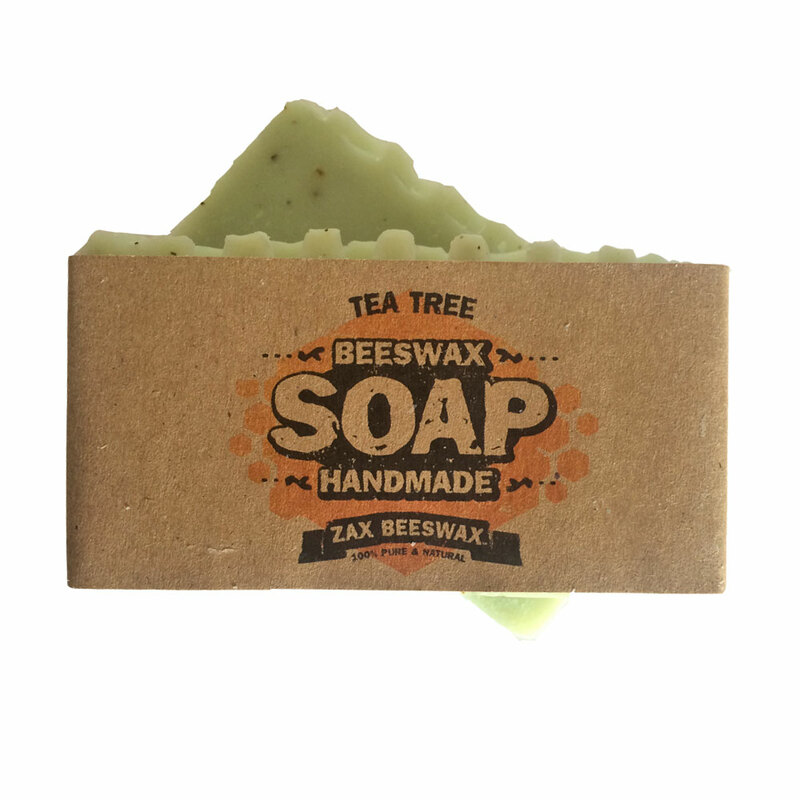 Our 100% Natural and handmade Tea Tree Beeswax Soap is made using our blend of natural, sustainable oil and pure essential oils. 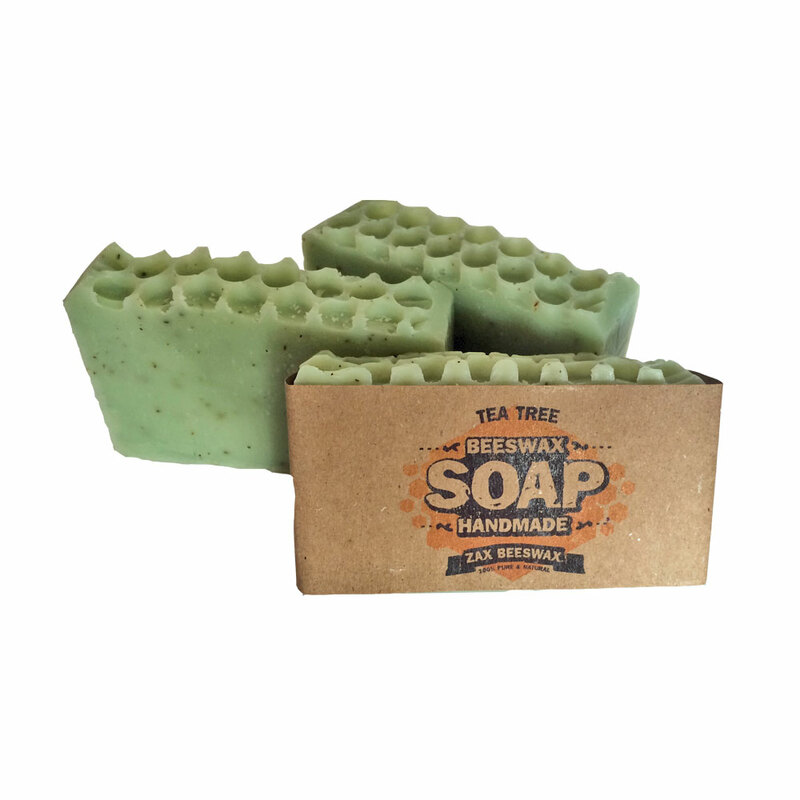 The aromatherapy benefits of this soap makes it an all time favorite as this tea tree soap boosts a strong green tea leaf smell blended with Frankincense. Ground tea leaves provide an extra kick of aroma while acting as an exfoliate for your skin. Our use of limited and all natural ingredients ensures that even those with sensitive skin, dry skin, mature skin, other skin conditions, or allergies can enjoy bath time. This soap is so fantastic it can even be used as a shampoo or for shaving. The best part is that this luxury soap is 100% Natural with no artificial fragrance or chemicals. Whats great about our soaps? 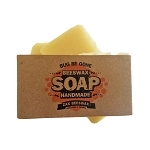 Zax Beeswax soaps are sure to please with their rich lather, great aromas, and because they are long lasting. Each bar of soap is made with high quality natural oils, beeswax, and ingredients beneficial to your skin. Since the epidermis (skin) is the largest organ in our body, why would you put anything on your body that you would not put IN it? Our blend of 100% Natural oils and butters provided benefits tailored to you skin. Extra Virgin Olive Oil - Deeply moisturizing and keeps your skin soft and silky. Rice Bran Oil - Extremely hydrating and has anti-aging properties. Ingredients: Beeswax, Ground Tea Leaves,  Palm Kernel, Rice Bran Oil, Extra Virgin Olive Oil, Mango Butter, Signature Tea Tree Essential Oil Blend. I like tea tree soaps and have tried numerous incarnations from many different outlets. This tea tree soap is by far the best I have ever used. It smells nice, rinses clean, and leaves your skin soft and lightly scented. 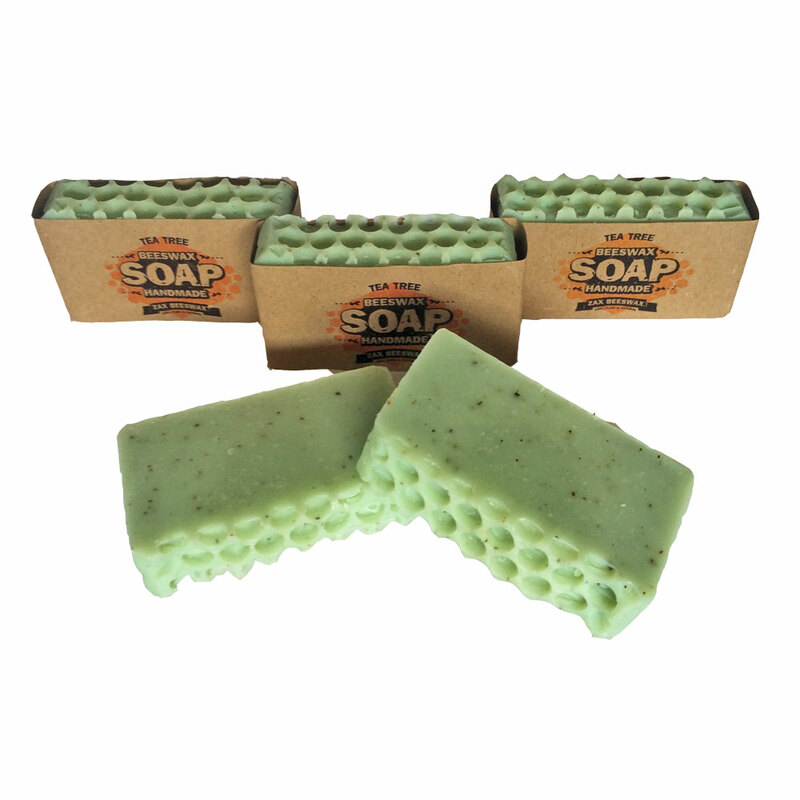 If you're looking to try a tea tree soap, you can't do better than this one. Thank you for a great product.